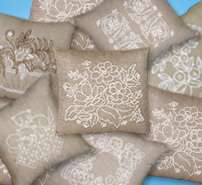 1000â€™s of needlework and craft kits | New York craft co. Welcome to the official home page of Design Works Crafts and our line of more than 1,000 needlework and craft kits. Whether you are a beginner or have been stitching for years, Design Works offers the greatest variety and the largest product mix in the industry. 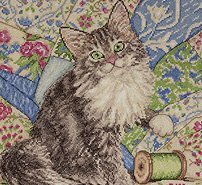 Enter our site to find the latest in Counted Cross Stitch designs featured in every major needlework catalog and retailer in this country. We feature such well known designers as Joan Elliott, Marilyn Robertson, Alan Giana and Ronald West just to name a few. You will find that our separated floss on cards, included with our large cross stitch kits, makes getting started a breeze and our easy to follow charts are easy on the eyes. 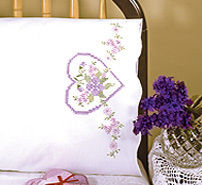 In addition to our extensive line of Counted Cross Stitch kits, we feature stamped cross stitch and a complete line of Tobin brand stamped linen items for the home. These quality tablecloths, quilt blocks, pillowcases and towel kits are sure to please. Also in the Tobin brand line, find our line of stamped baby quilts and bibs and matching birth records. Here at Design Works it's Christmas year round as we continue to expand our collection of Holiday Kits including Felt Stockings, Ornaments and Wall Decor. We are also the leading manufacturer of Plastic Canvas and Needlepoint kits with dozens of items in our range. Check out our CATALOG for a complete listing of all our designs. We are proud to offer the best in needlework and crafts since 1987 all made right here in the USA.